Who doesn't love a good puppy pic once and while?? The photo below is from Andy Spade @andyspade . If you don't follow his Instagram - do it. Everything he posts is graphic, ironic and clever. 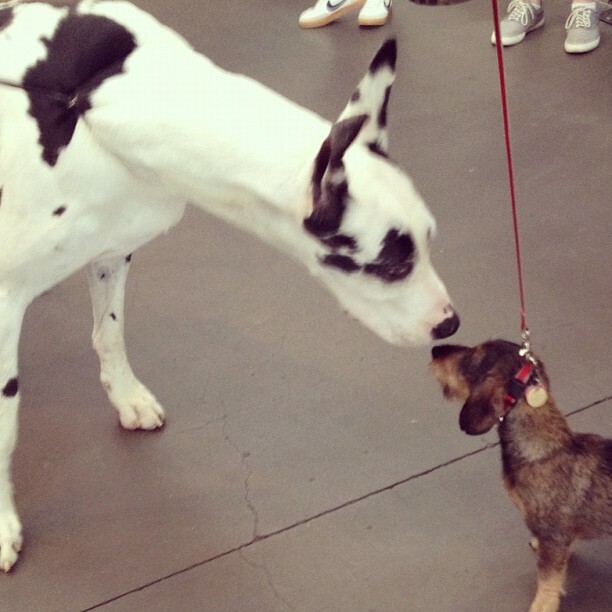 I love this pic because most of the time this is how I feel going into a race - like the smallest one and the underdog. But the scrappy little fighters sometimes get the best of the big guns!